Nadwi Foundation is pleased to announce the publication of Aspire – Students of Knowledge by Shaykh Abul Hasan Ali Nadwi. 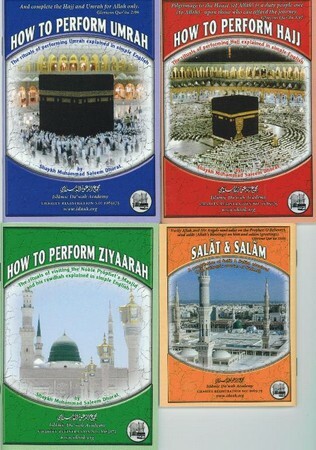 This book is inspirational reading for students of Islamic knowledge, Ulama and general readers alike. Madrasahs in the Indian Subcontinent suffer from a poor image. The mainstream media in the West, as well as in the sub-continent (especially Hindu and liberal), tends to brand the madrasahs as hotbeds of terrorism and breeding grounds for extremist fundamentalists. Although the academics and intellectuals are not as harsh in their description of the madrasahs but they are characterized by a general lack of in-depth inquiry and analysis. This book is one of the few that tries to give a firsthand account of the madrasahs based upon actual fieldwork. Yoginder Sikand (b. 1967) is an intellectual from India and the author of several works on Islam and inter-faith relations. This book is perhaps unique in the sense that the author begins it by introducing himself quite candidly considering it “a moral obligation … to inform the reader of my personal history and ideological position” because “one’s value orientations, and linked to that, one’s personal politics, inevitably influence what one chooses to write about and how one undertakes that task” (p xvii). The author, a self-declared agnostic, then goes on to explain his initial interest in Islam through popular Sufism (shrine-based) which incidentally led him to do research on the Tablighi Jama‘at followed by his becoming involved with groups promoting inter-faith harmony and dialogue. He even launched a monthly web magazine Qalandar (now defunct), devoted to discussion of issues related to Islam and inter-faith relations in South Asia. The author, as part of his inter-faith efforts, has traveled throughout India visiting madrasahs and interacting with ‘ulama of different schools of thought. This has given him a very broad perspective from which to analyze the situation in the madrasahs, as well as their image in the outside world. After the fateful events of 9/11, a lot has been written about the madrasahs in India. The author describes how he felt compelled to write this book after seeing the organized campaign by the Indian press to vilify the madrasahs with accusations that he knew were not correct or at best only partially correct. This does not, however, mean that this book is a piece of counter-propaganda. On the contrary, the author tries to bring forth a much nuanced description of the complex reality of madrasahs in India. Thus, we find him criticizing the madrasahs and the ‘ulama for attitudes that he considers to be obscurantist or unfit for a secular, pluralist society. We also find him, at times, giving significant attention to those who disagree with the ‘ulama and madrasah administrators. In order to make us understand the present context the author starts with an introduction to the centrality of knowledge to Islamic Civilization and the development of the Islamic scholarly tradition. However, here he betrays his lack of proper understanding of fiqh, hadith and kalam. He tends to subscribe to Schacht’s thesis about the early development of Islamic fiqh and the compilation of ahadith, albeit without mentioning his name. Thus, he states that “suitable hadith reports were generated to argue that fuqahÉ’ were Successors of the Prophet” (p. 15) and that “the fuqaha were co-opted by political elites” (p. 13) thus giving fiqh “a distinctly patriarchal and feudal stamp” (p. 15). He favors Mu‘tazilis for their rationalism vis-à-vis Ahl as-Sunnah wal Jama‘ah indicating that according to the latter group “there was no scope for free thought in Islam” (p. 18). This understanding of his would explain why he declares in the preface; and this has been published on the back cover of the book as well; that “Madrasahs, as a rule, represent a conservative form of theology and jurisprudence that is, in many ways, ill-suited to a modern, pluralistic society. Much of what is taught in madrasahs is outdated and unscientific” (p. xxvi). This attitude of his may also help explain why people like Sikand find it hard to accept Shari‘ah-based tasawwuf, even though he seems to be quite interested in shrine-based/Shari‘ah-indifferent tasawwuf. In the next chapter, the author provides a historical survey of the development of madrasahs and the Islamic scholarly tradition in India. This is followed by an account of the madrasahs in Independent India. His main focus is the madrasah system in North India. He pays considerable attention to their curriculum and tracks the changes that it has gone through since the time of its founder Mulla Nizamuddin (d.1748) through Shah Waliullah and the founding of Dar al-‘Ulum at Deoband up to the present era. He brings out the prominent role played by Indian ‘ulama in the struggle for Independence. Later, he contrasts North Indian tradition with the situation in Kerala (South India) stressing the diversity of the Islamic education network. Far from being limited to the Deobandi-Barelvi divide, it is characterized by significant regional differences. Reform is a subject which is very dear to him. We find him enthusiastically quoting people from within the madrasah tradition who favour reform. To be sure, he gives counter arguments as well. He comes across from his presentation as someone who sincerely wants madrasahs to reform. And he is not being condescending in his approach either. For he argues, that change has to come from within and anything forced from outside will not help. He therefore, cites several examples of many madrasahs which are adapting to the changing circumstances incorporating modern subjects in their curriculum. On the whole it could be said that strong opposition to all forms of modernization do not represent the majority of the ‘ulama. Many of them are pragmatic individuals who wish to change according to their needs but want to do it at their own pace. Having been exposed to such debates ourselves, we may make one clarification here regarding the nature of madrasahs. Unfortunately, this is something which is not always stated clearly with the result that a lot of time and energy is wasted by proponents of reform and their respondents from the madrasahs. In fact, madrasahs (in general) represent a traditional educational system which is totally different from the modern. Unlike the Arab world, where the word “madrasah” is used for any type of school; madrasahs, in the South Asian context, are primary school, secondary school and college rolled into one. Thus, the average length of study for a madrasah student is about 10 years consisting of 8 years for Dars-e-Nizami and perhaps a year or two before that for preparatory studies. On the other hand, a student in the modern system spends 12 years in school followed by 4 years in college. That’s a total of 16 years excluding any preparatory classes that he might have taken before his school years. Now, the dispute arises when proponents of reform, many of whom have never been to a madrasah themselves, demand changes in madrasah curriculum based upon their assumption that madrasahs are schools. Many ‘ulama, considering their madrasahs to be equivalent to colleges but without ever saying so, retort that madrasahs are meant for specialized studies of Islam; and just like it is absurd to demand that medical subjects be taught in an engineering university, similarly, it is absurd to demand that modern subjects be taught in a madrasah. Thus, these debates generally end without producing any positive results. The major madrasah federations/associations in Pakistan such as the Wifaq al-Madaris al-‘Arabiyyah have realized this problem and have re-designed their syllabus in such a way that it can correspond to the modern system. Now, 8 years of basic schooling is required from a student before he can start Dars-e-Nizami; and completing the final 8th year of Dars-e-Nizami entitles one to a degree considered equivalent to an MA in Islamic/Arabic studies. However, these efforts at reform are hampered by lack of resources on the one hand and the non-cooperative attitude of the government(s) on the other hand. Going back to the book; towards the end, the author deals with the much publicized issue of links between madrasahs and militancy. He attempts to be as objective as possible. The findings that he shares with us are very different from what the media would have us believe. It appears that even the most conservative and orthodox Indian madrasahs have little to do with the training of terrorists or brainwashing suicide bombers. A few individuals working in those educational institutions may occasionally support “extremist” ideas or organizations, but most madrasah leaders have openly condemned terrorism in the name of Islam. ​In concluding, the author emphasizes the critical role that “progressive Muslims” need to play to make Islam relevant to the modern world. Here, he seems to be stuck in the “liberal trap” of hoping to transform Islam from within so that it can become something like Reformed Judaism, even though that might not be Islam anymore. But he balances it out by calling upon Hindus to seriously address the growing threat of Hindu militancy. Notwithstanding the author’s inclinations and biases, of which he had warned us in the beginning, the book is still a very nice read especially for those who wish to have a better and more nuanced understanding of the complex reality of madrasahs in Hindu-majority India. Think about what you did last week. You might remember the nice meal, the chat to the cousin, the blazing row. But odds are, you spent the most time doing the same thing as the rest of us: staring at a screen. According to the latest data from Ofcom, the average Briton spends 45 per cent of his time gazing at pixels, whether delivered via a TV, a phone or a computer. The youngest, and best at multi-tasking, can monitor so many data streams that they effectively squeeze five hours’ exposure into just two hours. As Nicholas Carr argues in his latest book, The Shallows, all this is having a profound effect on our thought processes – what he found to be “the uncomfortable sense that someone, or something, has been tinkering with my brain”. Every time we surf the web, he argues, we are literally rewiring our synapses, training them to skip from topic to topic and task to task rather than focusing on one solitary goal or thought. And we are powerfully rewarded for this behaviour, via the torrent of new insights and facts offered by sites such as Twitter or Facebook, or the simple chemical hit that comes from seeing the “new mail” message pop up. Many writers have regarded this process as a relatively unmixed blessing, with Google and its ilk training us in high-speed cognition, not to mention giving us access to an enormous library of information that we no longer need to ferry around in our heads. Carr, however, is more sceptical. The brain, he points out, is not a computer, which can be filled up with a limited amount of data. The very act of remembering, of consideration, builds up the capacity to think deeply. We are, he fears, entering a superficial age, when the ability to devote attention to long and challenging thoughts will be lost. He cites studies which show that we learn better and retain more when focusing solely on the words of an article or lecture, rather than being given the chance to access connected material at the same time. Such worries, as Carr admits, are not new. Nietzsche found his prose style becoming harder and terser as he moved from pen to typewriter. Centuries before, Socrates lamented the damage that a move to the written word would do – it was, he argued, “a recipe not for memory, but for reminder”, for minds “filled, not with wisdom, but with the conceit of wisdom”. This idea that, as Ralph Waldo Emerson put it, “things are in the saddle / and ride mankind”, is an intriguing one, and Carr makes some interesting points, for example that the medieval transition from lingua continua (unpunctuated sentences of unbroken words, dictated to or read by a scribe) to our modern grammar created a kind of writing that was more personal, open and honest. He has some challenging ideas, too, about how written style will develop in the future, raising the dread prospect that authors will sculpt paragraphs and chapter headings to be “SEO-friendly” rather than rigorously accurate. Yet it is hard to avoid the feeling that Carr is over-egging things – or rather, applying his worries too widely. For example, he tells us that the recent sustained global rise in IQ is evidence not of our becoming more intelligent, but of concentrating on different things. Why, then, should we worry about that rise tapering off? Isn’t it just a sign that the web is training our brains for different tasks? There is also the problem of format. If we are losing the ability to concentrate, asking us to trawl through a 224-page book feels like a heroically counter-productive way of addressing the problem. Indeed, to this reader at least, Carr’s argument felt stretched at this length – though he would no doubt blame that on my inadequate attention span.